The Costa Rica Jaguar is very well known here and is considered a national symbol. Not only because it is such a rare cat, but also because of all the conservation efforts set up to protect this increasingly rare species. The Jaguar’s habitat spans over such a large area that when a Jaguar is labeled as protected, it also helps to protect all other species in that zone. The Costa Rica Jaguar is the largest of all wild cats inhabiting the country. They range in sizes of about 100-250 lbs and live for approximately 15 years in the wild. Jaguars are diurnal, meaning they are most active during dusk and dawn. They are a solitary creature and prefer it that way, of course until the mating season comes and males will start the search for a mate. After mating, females will give birth on average 1-4 cubs. One of the favorite meals that Jaguars love to eat is the wild pigs or peccaries. With many conservation efforts in Costa Rica focusing on the Jaguar, Corcovado National Park’s efforts are the largest. Known as Costa Rica’s wild child, Corcovado is home to all 6 feline species in Costa Rica. 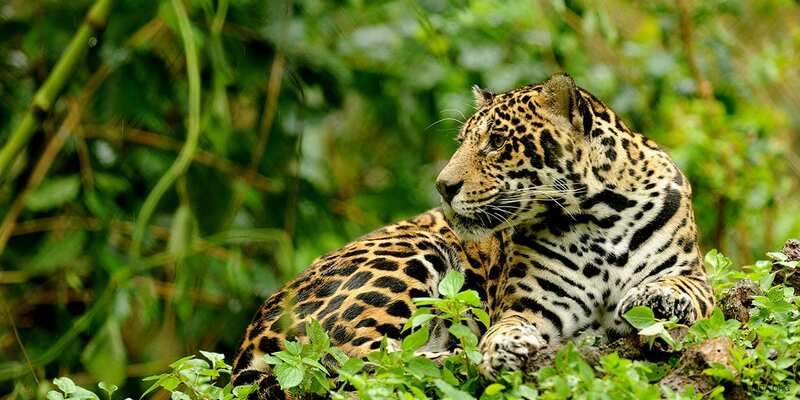 Considered and endangered species, the population of jaguars is only about 15000 worldwide and approximately 50 live in the Corcovado National park, it is no wonder why there is such an effort to conserve them. Other places where you can spot the jaguar are the rain forests surrounding the Pacuare river, Santa Rosa National Park and even Tortuguero National Park. The latter sometimes lures jaguars to the beach where they hope to snack on the turtles that come nesting here every year. If you want to try and spot them in the wild, make sure to do so with a licensed guide. Otherwise you might become an easy prey. Costa Rica Jaguars are hard to find. If you do happen to spot a Jaguar you may have just realized that you actually don’t want to see one. Although cool, running into something that can potentially eat you is kind of scary. That why we offer some other Costa Rica animals for you to read about. Although the Costa Rica Jaguar is an amazing species of wild cat, Costa Rica has many others of different sizes and colors. One example of this is the Puma, you will find these particular cats not just in Costa Rica but all over North America. They are extremely versatile in habitat and can live in almost any climate. The Puma is second only to the jaguar in size, it is one of the biggest predators of Costa Rica, Although the Puma will avoid being in the same territory of its bigger cousin. 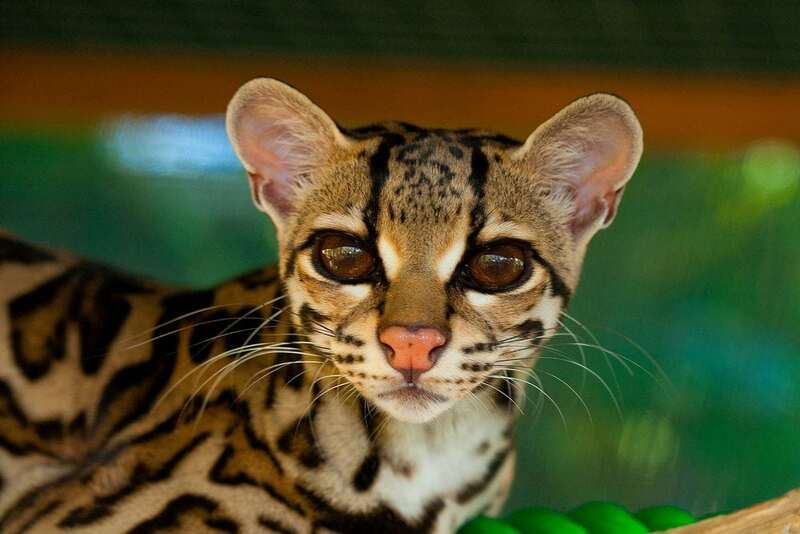 Ocelots are found in most of Costa Rica although they are hard to spot. They are roughly twice the size of your common feline and eat similar small sized meals. 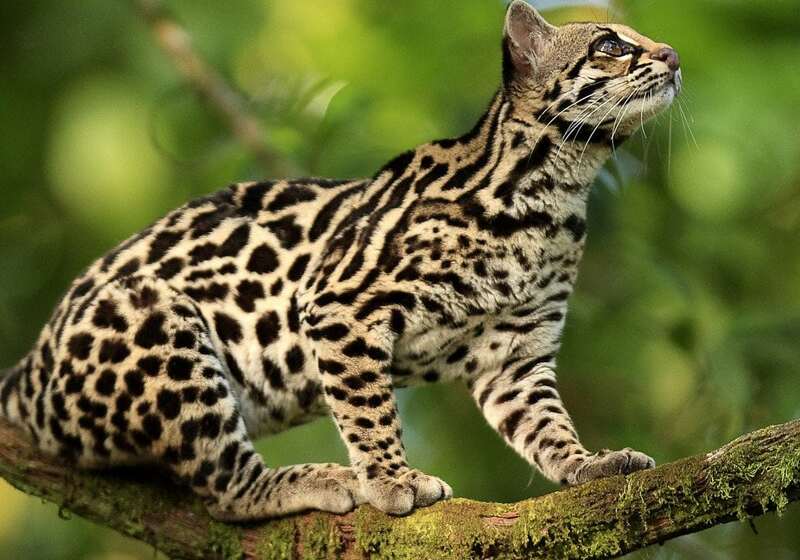 The Margay used to be spread all through out Costa Rica but has diminished because of hunting and deforestation. Also, about the size of your common feline. 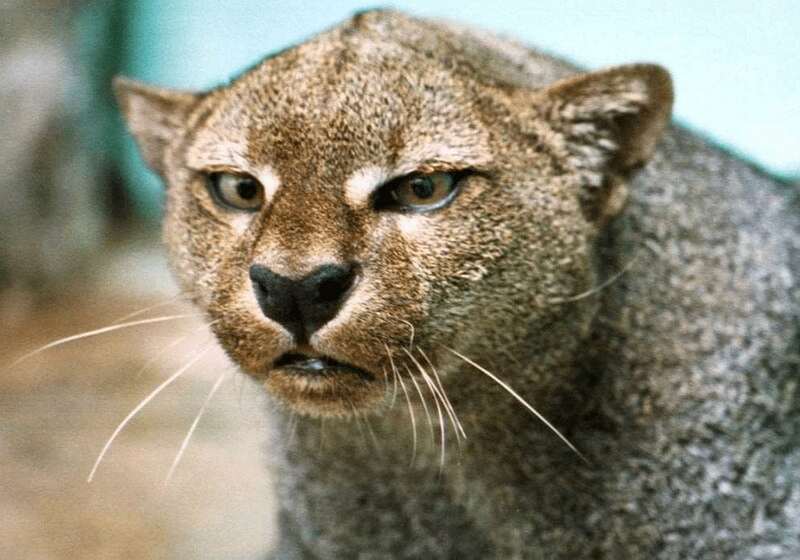 The Jaguarundi is different than other wild cats of Costa Rica by having a rounded pupil and darker fur color. It is also a more aggressive cat when encountered compared to the others. 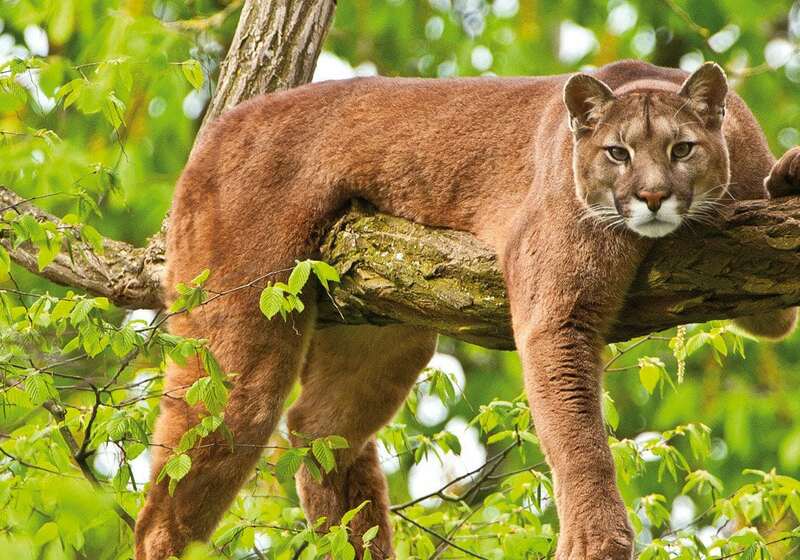 The likelihood of you actually seeing any of these cats in the wild is frankly, very unlikely. Most of the stunning photos you will see are either taken with camera traps in the wild, or at a reserve. That is why it is best to go to one of the many nature reserves in Costa Rica to view them up close. One of the very best nature reserves is at the La Paz waterfall gardens, here they have a Butterfly Center, a Serpentaria, a wild cat enclosure, and of course the waterfalls. Another great place to go is the Jaguar Rescue center in Puerto Viejo, although you might not see a Jaguar as they come and go as the animal comes back to health. The center has a large variety of animals including other Wildcats, birds, snakes, butterflies and so much more. Whatever types of animal that you love, Costa Rica has it all. There is so much variety that we can’t count the number of species inhabiting this biologically diverse paradise. Come and see the Wild Cats!